Today is Friday (obvi) but it is extra fun for me today because it's tacky sweater day today at work and there is some major money on the line. Keep your fingers crossed for me; I've got nursery decor calling my name and I wouldn't mind taking first, second, or third place in our contest! Time for another Five On Friday and as we near the end of 2013, I just have to send hugs and a huge THANK YOU to all of y'all who consistently link up with us each week ... this fun link-up has been a true highlight of the year! We are big fans of stockings in my family and we get creative. I'm so giddy over this fun idea I did for Ian's stocking. The two of us are huge Breaking Bad fans (we're Netflixing it and on the last season now). I knew my husband would get a total kick out of a little baggie of his own "blue" so I got some cotton candy rock candy from Michaels ($1.29/stick) and twisted it off the stick into a little bag. He's gonna flip. I can't wait. Christmas food ... I'm so excited! Here is a beloved holiday recipe from our family. Combine first 7 ingredients in a large bowl; make a well in center of mixture. Combine egg, milk and oil; add to dry ingredients, stirring just until moistened. Spoon into greased muffin pans, filling two-thirds full. Bake at 400 for 20-25 minutes. Remove from pans immediately. Tonight is Friday which means pizza and couch snuggles. It's A Wonderful Life is on TV tonight and Ian has never seen it! I'm really excited about him seeing this classic for the first time. What about you -- is it a favorite? This is our last Five On Friday before the Christmas holiday so I just want to wish you and yours a MERRY MERRY! I can't wait to see you all back here after the big day! Love this! I'm the exact same way when it comes to wrapping-- on the floor in front of the tree with a glass of wine and all of my pretty paper and bows, with a Christmas movie on TV. It doesn't get much better! It's A Wonderful Life is absolutely a Christmas MUST for me, too! Up until last Christmas, my fiance had never seen it and I couldn't wait to show it to him. That George Bailey magic just makes my Christmas Eve every year. Merry Christmas to you, Ian and that sweet baby girl-to-be! Ha! That is fabulous with the rock candy! I'm dying! You are all ready for Christmas, and I love your stocking idea for Ian! Crossing my fingers for you with the tacky sweater contest! 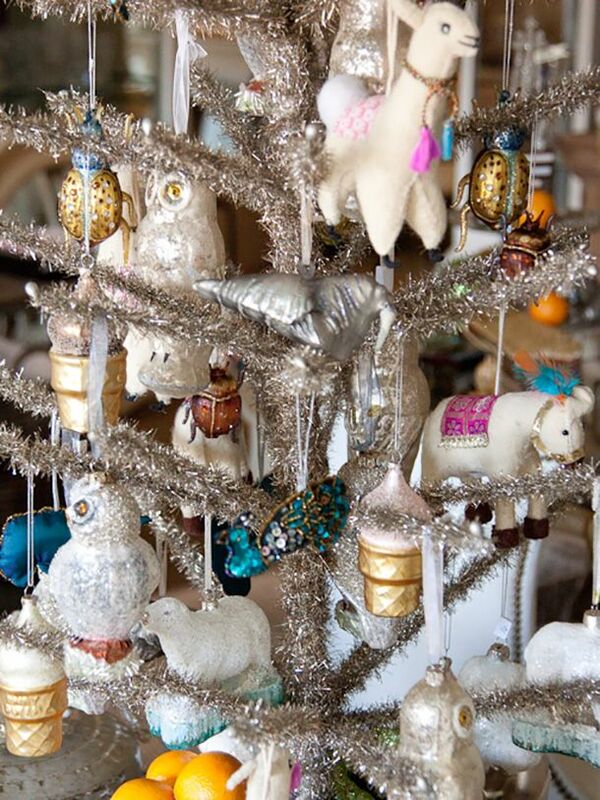 That tree & ornaments LOVE LOVE LOVE! I have never seen Wonderful Life, I am looking fwd to watching it tonight!!! That is such a great stocking idea! We're on Season 2 of Breaking Bad! Good luck at your holiday party!! Hope you win big!! My husband and I have not seen It's a Wonderful Life either - so that's what we're doing tonight! Have a fab weekend! The blue candy in a dime bag is ingenious! You are so creative! How has be not see Its A Wonderful Life??? Hope he likes it! And the blue rocks are hysterical. I didn't realize that was on tonight! Can't wait! I need to copy you and take a day off the week before Christmas. I stood in the kitchen all last night making batches of spiced nuts, chai mixes, and hot cocoa mixes for my family. I am wiped! I love linking up with you girls, and also reading your blogs. Merry Christmas! So glad to link up with you all! I'm glad I found you and am excited to meet some new blogger friends! I have NEVER seen It's a Wonderful Life... can we still be friends?? I love that y'all have friday pizza night! My parents have watched White Christmas and It's a Wonderful Life every year since they were married! We have pizza night tonight as well, maybe we'll have to add a movie to our list! hmmm...those bacon and cheese muffins sound amazing!! I might have to try those out next week! Merry Christmas to you, Ian, and sweet baby! Hope you have a wonderful weekend! P.S. I haven't watched It's a Wonderful Life either...definitely on my to do list! First time linkin up! Happy to have found you! Those muffins sound delish and your tree picture. SWooooon! As a huge Breaking Bad fan, I would greatly appreciate that stocking stuffer ;) Love taking a random day before Christmas to get stuff done. And tonight sounds like a perfect date night at home. Enjoy! Merry Christmas April! Christmas will look a bit different for you & Ian next year...but it's a thousand times better! Thanks for hosting this link-up I always look forward to reading even if I don't get the chance to post! Thanks for co-hosting this fabulous link up, April! 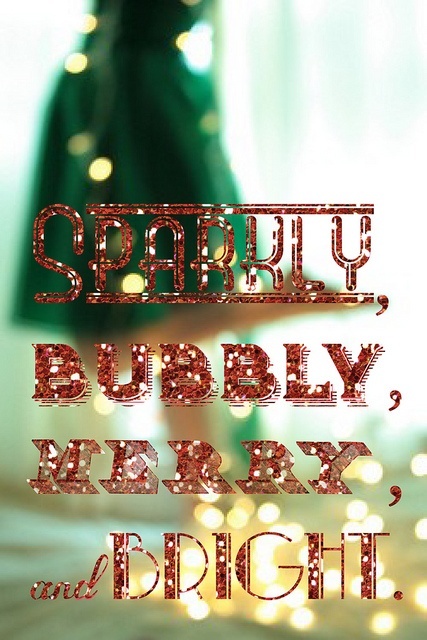 LOVING all the festive Christmasy goodness in your 5!! Wishing you and yours a beautiful Christmas!! The bag of blue is hysterical, we are BB fans too. ha! I may be copying that cute idea. Yummm...I might have to try those muffins! And you will LOVE It's a Wonderful Life- sounds like the perfect evening! 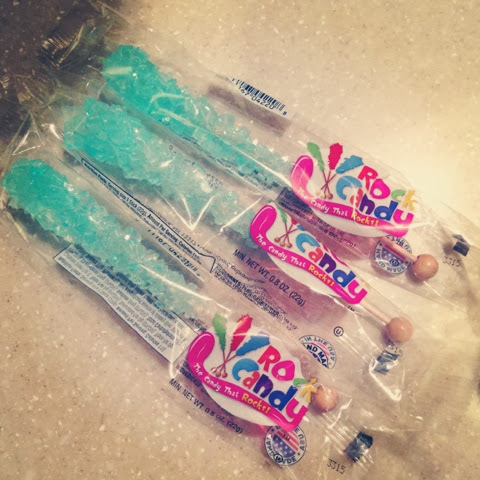 What a great idea with the rock candy! So fun. My husband and I have been watching Breaking Bad on Netflix too! We are about half-way through the last season. We actually started watching because we moved to Albuquerque a couple months ago! 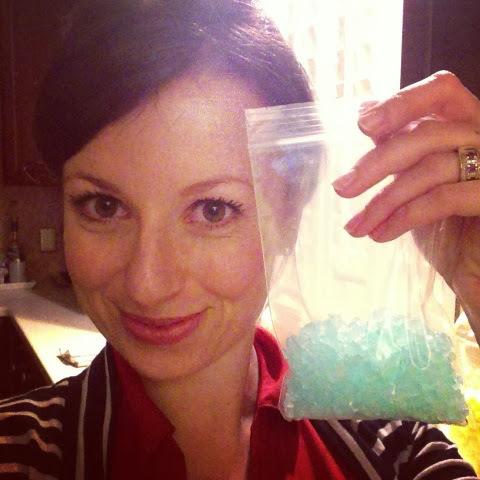 There is a woman here who makes that blue rock candy too - totally fun! I love this link up too and am so glad you gals have hosted it. Those bacon and cheese muffins sound delish! 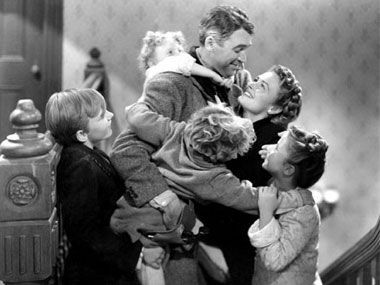 I absolutely LOVE it's a wonderful life--my family watches it every Christmas Eve! Ahh, I missed the link-up last week because holdiay CRAZINESS. It's not Christmas for me unless I watch It's A Wonderful Life! The bacon and cheese muffins sound too good to be true. Must try them!